May 20, 1997 was a happy and joy filled day for the Cook family. A beautiful, healthy baby girl was born. Nicole Joy was a month premature but passed her newborn screenings without a single problem. At six weeks old, Nicole and her brother were sitting on the couch when Nicole’s mother noticed that her arm was bent in a way that did not look comfortable, or normal. Nicole’s doctor wasn’t worried but referred the baby to a pediatric orthopedist for examination due to low muscle tone. The orthopedist was not worried and diagnosed Nicole with minor hypotonia and said that this was perfectly normal and that she should grow out of it as she developed muscle in crawling and walking. Nicole’s parents continued to raise Nicole and monitor her hypotonia; however, they began noticing that Nicole was consistently late or completely missing her pediatric milestones. By one year old Nicole was neither speaking nor walking. Back to the doctor, the Cook family was referred to an Early Childhood Intervention program for children age 1-3. There Nicole began receiving physical, occupational, speech, and sensory integration therapy. At 18-months Nicole began walking, but she also began exhibiting Autism Spectrum-like behaviors. Nicole continued through her Early Childhood Intervention program and continued seeing doctors that reassured the Cook family that there was nothing wrong. At 3-years old, Nicole had not spoken and people referred to her as a Queen because she seemed to look right through people. Then, while at day care one day, Nicole had a very large seizure. Nicole’s mom, on staff at the church where the day care was located, rushed Nicole to the doctor’s office. 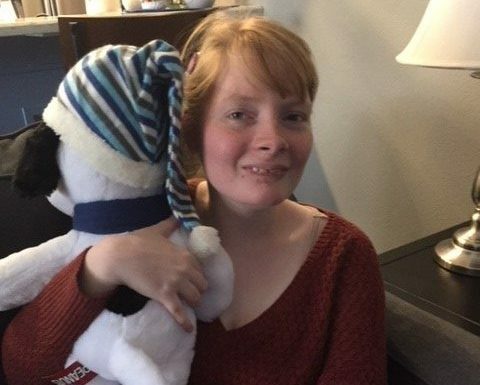 The doctor prescribed several seizure medications and diagnosed Nicole with PDD (Pervasive Development Disorder). Pervasive Development Disorder is a non-specific diagnosis encompassing several more specified diagnosis on the autism spectrum. 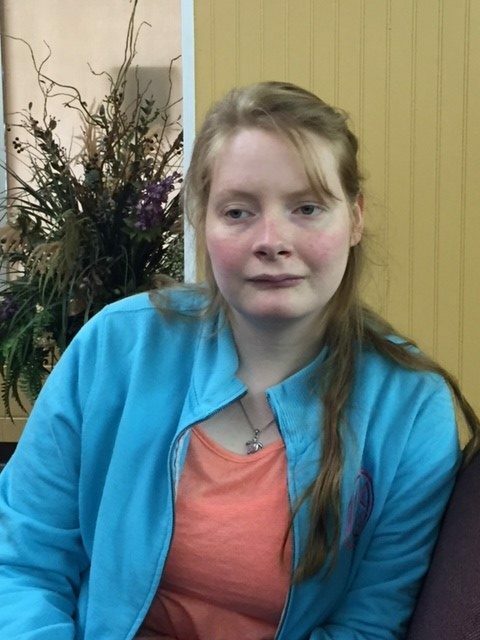 PDD; however, is not a classified diagnosis, meaning that the Cook family would not qualify for any diagnosis specific or general therapy assistance. Nicole continued with Early Childhood Intervention and excelled at many of the tasks, including color sorting and motor function. Doctors continued to test Nicole for different diagnosis, yet they were never able to settle on one. Nicole’s test continually showed a point or two away from diagnosis but never showed a prevailing cause. The Cook family continued to work with Nicole on their own in the best way they knew how. 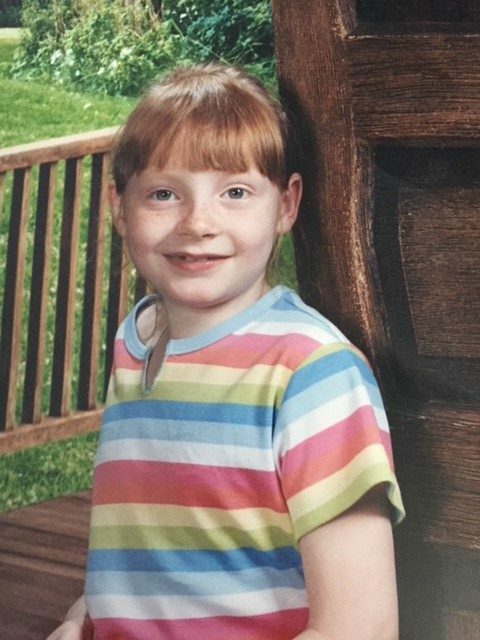 At 4 years old, Nicole began to attend classes in the public school system in the Life Skills classroom. Nicole’s mother recalls feeling alone and isolated as she struggled to find assistance and help for her daughter fighting through bureaucracy and red tape. Nicole, unable to ride the bus to school, would collapse in a seat which many people continued to call seizures. At age 6, Nicole began Equine Therapy at a local farm. She would smile and loved riding the horses. After her riding time, Nicole’s mother would place her in the car and she would collapse against the seat and lay limp with little responsiveness or energy; however, Nicole’s mom remembers seeing the need and pleading in Nicole’s eyes as she lay there. 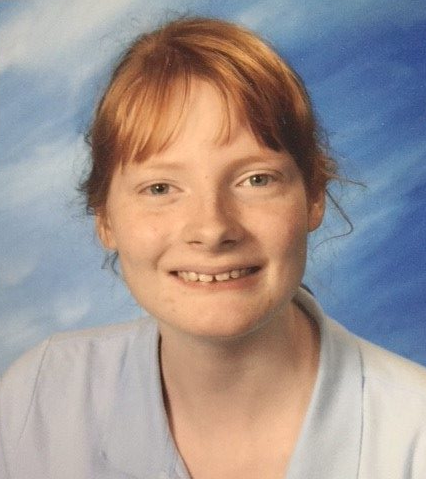 Seeing this emotion and connection, Nicole’s mom knew these were not simply seizures. After each time, Nicole’s mother would rush her to the doctor for blood work hoping that something would show up. The blood work continued to come back normal, but in a struggle for answers, Nicole’s mother turned to food. The next time Nicole collapsed, her mom fed her several sugary snacks hoping that there was a connection to low blood sugar. After about 20 minutes, Nicole became more responsive and by the time she finished dinner, she was back to her normal activity level. Pleased, but not satisfied, Nicole’s mom continued her search. The next time that Nicole collapsed, the snacks consisted of pure protein. Within 5 minutes Nicole was responsive and alert. 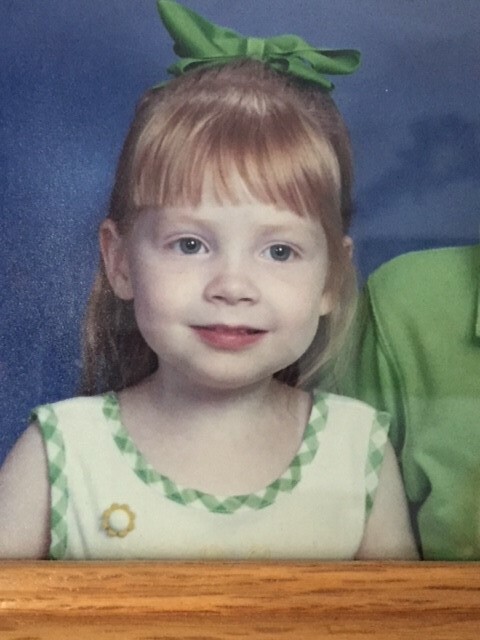 Nicole’s mother knew that she was on to something; however, doctors continued to dismiss the connection between Nicole’s seizure-like behavior and protein and instead referred her to a Molecular Geneticist in Houston at Texas Children’s Hospital. This doctor processed a large amount of blood work and deemed Nicole to be fine and sent her home. In a series of fortunate events that the Cook family can only equate to God’s hand, a fellow doctor in Houston had just returned from Switzerland where she had been consulting on a case with a child who had every symptom that Nicole had shown. The doctor asked Nicole to return to Houston and ran a series of tests including a MRS (Magnetic Resonance Spectroscopy), which scans and analyzes the molecules in the brain. With this scan, the doctor was able to definitively diagnose Nicole, at 8 years old, with Guanidinoacetate methyltransferase (GAMT) deficiency. Nicole represented the 31st person in the world, and the first person in the United States to receive this diagnosis. As Nicole eats protein, rather than distributing creatine as it should, Nicole’s body expels the creatine limiting the effectiveness of the protein in building energy, muscle, and brain function. The diagnosing doctor was able to prescribe Nicole a creatine supplement to balance her body’s deficiency. Since this diagnosis, Nicole has not suffered a single seizure or fainting episode. Of the 31 people in the world with advanced GAMT deficiency, Nicole and one other boy are getting better while the others are regressing. Nicole’s mom attributes this to prayer and God. With Nicole’s diagnosis, Texas Children’s Hospital began a study of the GAMT deficiency. With skin samples from Nicole, doctors in Dallas developed a newborn screening, allowing all babies in the United States to be screened for GAMT to aid in early detection and treatment. Babies diagnosed early are prescribed a strict diet and supplements which will allow them to develop along a traditional developmental curve. With approximately 150 diagnosis to date, many suspect higher rates of this deficiency may have existed before; however, due to the symptom similarities to autism, many of the children may have been diagnosed with epileptic autism. under 2 hours. She also enjoys a musical therapy program and crafts. Nicole’s mother heard about Helping Restore Ability from a friend who had a daughter with Autism. Nicole’s mother, grandmother, family friend, and brother all serve as attendants for Nicole. Nicole’s mother says that she loves working with Helping Restore Ability because she is able to hire people that she knows. Nicole’s attendants help to get Nicole up in the morning and to keep an eye on her constantly. Since Nicole is non-verbal, she is unable to express her needs, although she does have help from an iPad application she was given by her speech therapist. She is also extremely friendly and has trouble distinguishing dangerous situations, which is something her attendants help her to do. 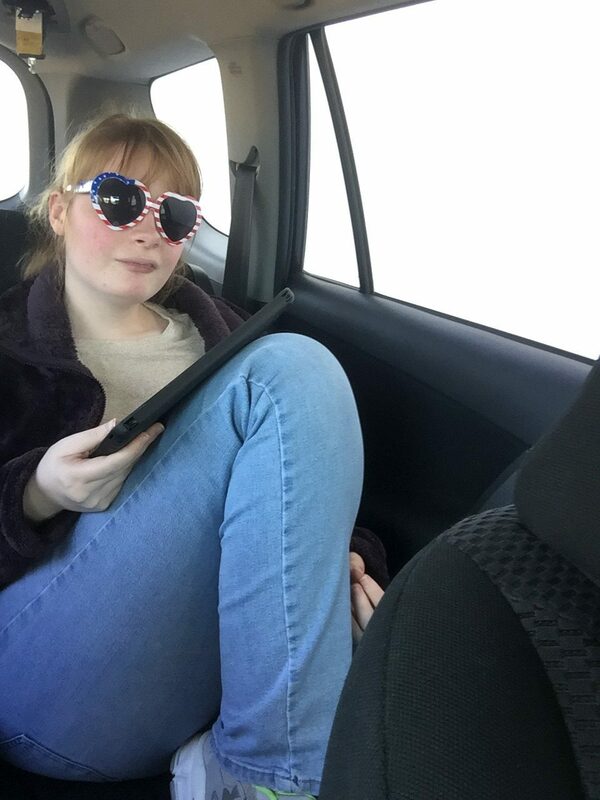 Nicole is able to be independent in feeding herself and playing on her iPad as much as possible; however, she tends to fixate on a task and may need help being reminded to do daily tasks, such as using the restroom. “When a person in your household is non-verbal, you don’t want to let just anyone in the house. You need someone who you trust, who they trust, and someone who knows the vibe of your kid. That is why I needed to ability to name my own attendants.” Nicole’s Mom said. The support and care that she receives from the Program Coordinators at Helping Restore Ability is a comfort and a peace throughout a tumultuous journey.